Closed faced helmets legendary version updated to fix dwarven helmet. Closed faced helmet patch added. Cutting Room Floor patch added. Blessing and Cures patch added. Heavy Armor fix patch added. Helgen Reborn Patch in testing. I will need help with Better Vampires as I've never used it. So keep them coming. Thanks for getting a BV patch going!Is it correct to assume the 4 overlapping BV scripts should overwrite Requiem? I trust the patch has enough visibility here? Could have a temp main page and move back when your satisfied, especially if you do not use it. Then again a few dedicated and skilled testers may be more efficient. I didn't think Fantasy Sountrack Project needed a patch, i have been running it without any issue, i didn't think requiem did anything to music, and i didn't think Fantasy Sountrack Project did anything other than music. Requiem doesnt affect music but it does affect cells. The Fantasy Soundtrack Project Patch appears to make cell edits in two locations: High Hrothgar and the College of Winterhold. Why these edits were needed for FSP, I do not claim to know. @ Aldehyt use Vampiric Thirst instead. The author has made a official patch for Requiem himself and included it in the modpage. The mod fits much better in the setting of Requiem. I generally like it a lot more. It also feels much more polished. The momod patch still work ? Patchs are compatible with Requiem 1.9? 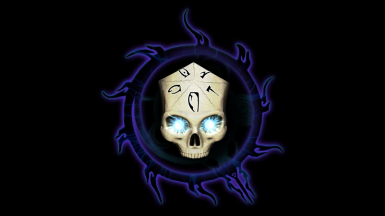 Go here for updated patches, http://www.nexusmods.com/skyrim/mods/61621/? To the best of my knowledge, while old, both of these patches are still working and no newer alternatives are available. Does anyone have any different opinions? A patch for Loot & Degradation is no longer required as it is now compatible with Requiem. This mod will automatically configure itself to Requiem 1.8+'s tempering system. An additional patch for Requiem is available here. The implication is that L&D will not break or be broken by Requiem, but that the Requiem-L&D patch still has some function. I have not played/tested extensively enough to determine if using Azirok's patch interferes with Requiem 1.9.x's tempering rules or if it still is doing whatever it was meant to do. Interesting NPCs have an up to date patch here. Alongside with other mods. What else is requiem not compatible with? SKYRIM? Is there`s atleast one person who still use the Sand of time patch? Is it still good? IIRC, The sands of time sleeping encounters module can be used as well if desired since it doesn't modify NPCs. This set up adds tons of randomness to the game without affecting requiem balance, and it also doesn't make you feel as if you have a homing beacon on you attracting crazy strong enemies which I hated about SOT. I especially hated the enemies that had the same names as NPCs and the assassins that were trying to kill the Dragonborn before the PC and everybody found out that he was the Dragonborn. Of course, if you like the whole enemy homing beacon thing, the above won't help you, but I personally think it's overall better than SOT. Thanks for the response. I already use all of these mods you mentioned except Monster mods. I don't use populated series since i feel like it will be too hard to fight a wave of enemies when i play with Combat Evolve as-well. I would hate to be killed by a random arrow since i play with a ''No death mod'' where i get penalized for being killed. I will add Genesis later now that i know it doesnt add new enemies. Will use Tes5edit for Random encounter. I haven't start a new game in a long time yet that's everything left that i need. Cannot get it to work. All it says when i have installed the patch central is that i am missing Complete crafting overhaul remade mod. Is this compatible with Character Creation overhaul etc which takes standing stones away for example? For Immersive Creatures, the new giants Tundra / Cave and I think even some Frost / Berserkers have NOT been properly Requiemified. They are missing perks / spells from vanilla giants making them way too easy for the loot they drop. Hi, I appreciate the hard work you've put into this. Can't play Requiem without these fixes. But if I may suggest a future patch, could you do one for Height Adjusted Races with True Giants? Hey I am having two issues if anyone can help. My first is with the Improved closefaced helmets. I cannot get this one to work right at all. I use the Legendary file from navida1 but when I run the patch to it form the central patch it says it needs the legendary file even tho if I look up it is there. I did notice that the names were slightly off between the two. I thought maybe it was looking for an older version and it happened to be a different name so it didn't recognize it by chance but I am not sure. My Second is with Immersive Armors. When I run the central patch for it my game crashes as long as I have the Requiem - Immersive armors addon plugin checked. If I uncheck it and do not have it active then my game will run and as far as I can tell the mod seems to be working. I just wasn't sure if I am missing something or if I am doing something wrong, or if it simply doesn't matter and I should just keep it out. These are all out of date and do not work with Requiem 1.8+. 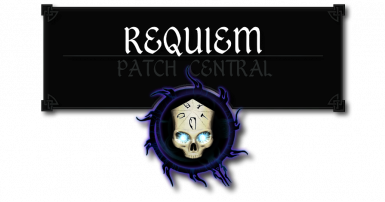 Head on over to Another Requiem Patch Central for the most up to date patches. Better Vampires MUST be loaded after Requiem.esp, and my patch MUST be loaded after Better Vampires. It is recommended that you do not enable feeding off the dead or extracting blood potions - Requiem sort of handles this already. - requiem didn't change vampire system in a new version . - on requiem page on forums tab you can find moor information even on comment section its very active . i do hope to see a GRATE patch coming out one day well i think every one wants to play requiem with better vampire also MAYBE you can help the team to enhance dawnguard perks for latter version of requiem + your mod and every think else . New version of Better Vampires 7.0 has a Requiem patch included in the installer. Hope people enjoy using our two mods together!